Q: Could you provide our readers with a brief introduction to Qualpay? A: Qualpay was started by experienced payments professionals and seasoned programmers who had been individually working at the forefront of bringing new developments and changes to the industry. In 2014 they joined forces to bring the next generation of payment processing innovations to market. Qualpay’s fully-integrated, omnichannel platform is easily adaptable to the individual needs of both businesses and developers, as well as partners such as Independent Sales Organizations (ISO), Developers and Independent Software Vendors (ISV). We help combine merchant accounts with all the payment solutions that today’s businesses require. For developers and partners, we provide real-time onboarding and easy management of accounts. In addition, our reporting intelligence and data analytics allow our customers to quickly and efficiently manage their payment finances, saving them time and money. Put simply, Qualpay allows for a better way to manage payments. A: Qualpay began this journey with a focus on the customer and helping to answer the simple question of “Where is my money?”. All of our reporting and the way our products are designed help answer this question while also meeting the needs of the omnichannel business. For businesses or developers requiring control over the entire experience of checkout, we built a payment gateway which can be paired with embedded fields technology to reduce PCI scope and support the collection of credit card data on Qualpay’s Level 1 certified platform. Additionally, with the use of card data tokenization, Qualpay can securely store credit card information for one-off or recurring payments. The payment gateway supports buyer authentication (3D Secure) and Qualpay supports the registration process, as well as certification through a customer’s chosen MPI (Merchant Plugin). 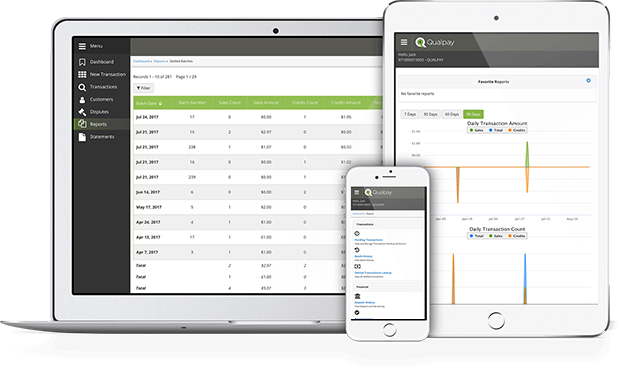 For businesses looking for a simpler implementation, Qualpay Checkout offers a hosted solution for taking credit cards and ACH payments as well as scheduling subscription payments. We’ve also taken our technology and implemented plug-ins for the top open e-commerce payment platforms. Our Recurring Billing product supports both off and on-plan subscriptions, enabling a business to support fixed pricing bundles or unique pricing solutions by a customer. Customers are stored in our Customer Vault. To support exception processing and also businesses who take the majority of their business over the phone or via mail, we developed a dynamic Virtual Terminal, based on card type and configuration. The hosted Virtual Terminal is available within our mobile-first designed management portal, Qualpay Manager. Finally, to support businesses who invoice their customers, Qualpay introduced Invoicing. All of our products support business and purchase cards, surcharges, convenience fees, ACH payments and foreign currency processing in all the currencies MasterCard and Visa support. Any card data stored can be updated with Account Updater and update notifications are supported via reporting and webhooks. Our payment gateway is just one of our APIs, and all of our products support an API integration. Additionally, we support a Boarding, Disputes, Account Updater and Card Type API. Qualpay Manager provides access to our reporting that tracks transactions from the initial sale all the way to cash, as well as from cash to each of the transactions that composed the deposit to a businesses’ bank account. Businesses can access all of their data, anytime and from any device. Reports are customizable, downloadable and accessible via API. Qualpay Manager is also home for all of our products, is out-of-the-box and easy to use. 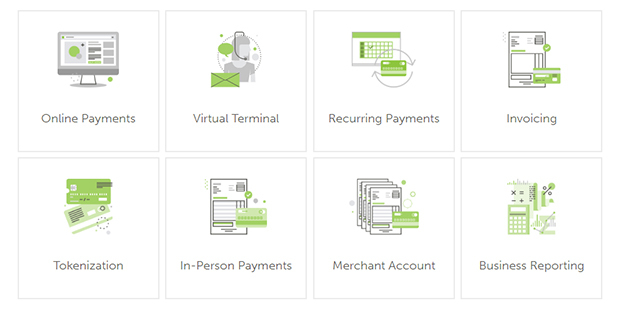 To provide a fully integrated experience, all of these products are compatible with our merchant account. Q: Can you explain to us what an “omnichannel” payment solution really is? A: Omnichannel is an approach to sales that strives to provide a seamless shopping experience. As a consumer, we now want to be able to shop anytime and anywhere. Our expectation is to have an easy and smooth shopping experience regardless of the way we are purchasing, whether that be via a web browser, mobile app or in-person, or with cash, card, check or mobile wallet. The true omnichannel payment experience will allow the consumer to shop and add items to their shopping cart from a mobile app and complete the purchase through a web browser on their desktop computer. All of this begins with the payment system. Payments cannot be an afterthought when building an e-commerce site. In fact, it needs to be one of the leading decisions in the merchant’s omnichannel strategy. When selecting a payment system, there are key considerations that must be factored into the evaluation and purchase processes. From security and fraud management to reporting and identifying which merchant acquirers, payment processors and payment gateways are needed. Ultimately, selecting an integrated payment solution will allow you to simplify the process and provide the omnichannel experience. Q: How can businesses benefit from using your payment solution? A: Qualpay provides a fully-integrated payments platform, which means we handle every aspect of the payments process: from the merchant account to the payment gateway to invoicing and recurring payments. Reconciliation has always been one of the biggest frustrations and time-consuming issues for merchants. We started Qualpay with the goal of reducing such merchant pain points. From the e-commerce shopping cart vendor to the payment gateway, processor, card brand networks, acquiring bank and the bank account, each vendor provides different reports. Merchants must match and consolidate the multiple vendor reports for accurate analysis, paying close attention to the time frame and the name of different transaction steps. But with an integrated payment platform, a merchant can limit the number of vendors they deal with, which translates into fewer complications and less confusion resulting from multiple platforms and vendors. In other words, It simplifies cash flow management because with fewers vendors to contend with, there are fewer fees to pay. Q: What can we expect from Qualpay in the future? A: Qualpay is committed to continuously developing our products and payments platform to meet the evolving needs of customers. You can look forward to seeing additional payments solutions for marketplaces and non-profit organizations, mobile payment solutions and text-to-pay. We intend not to carry technology debt and keep our roots grounded in using technology to solve problems.